Mathematical and Computational Applications (MCA) is devoted to original research in the field of engineering, natural sciences or social sciences where mathematical and/or computational techniques are necessary for solving specific problems. The aim of the journal is to provide a medium by which a wide range of experience can be exchanged among researchers from diverse fields such as engineering (electrical, mechanical, civil, industrial, aeronautical, nuclear etc. ), natural sciences (physics, mathematics, chemistry, biology etc.) or social sciences (administrative sciences, economics, political sciences etc.). The papers may be theoretical where mathematics is used in a nontrivial way or computational or combination of both. Each paper submitted will be reviewed and only papers of highest quality that contain original ideas and research will be published. Papers containing only experimental techniques and abstract mathematics without any sign of application are discouraged. 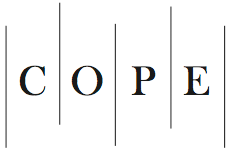 MCA is a member of the Committee on Publication Ethics (COPE). MDPI takes the responsibility to enforce a rigorous peer-review together with strict ethical policies and standards to ensure to add high quality scientific works to the field of scholarly publication. Unfortunately, cases of plagiarism, data falsification, inappropriate authorship credit, and the like, do arise. MDPI takes such publishing ethics issues very seriously and our editors are trained to proceed in such cases with a zero tolerance policy. To verify the originality of content submitted to our journals, we use iThenticate to check submissions against previous publications. MDPI works with Publons to provide reviewers with credit for their work.